And we do know this: Office 2019 will be based on Office 365 and will include features from Office 365 that have been introduced since the rollout of Office 2016 in September 2015. Microsoft isn’t developing a separate code base for Office 2019, so it isn’t expected to have any features that Office 365 doesn’t have. When Microsoft first began talking about Office 2019, it asserted that Office 2019 would only be supported on Windows 10, but did not categorically rule out running the suite on older operating systems, such as Windows 7. It now has. “Office 2019 Preview can only be installed on Windows 10. Only versions of Windows 10 that are currently receiving servicing updates are supported,” a supporting document confirmed. Microsoft also repeatedly stressed that the preview is intended for organizations that plan to buy and deploy the volume licensed version – what the Redmond, Wash. developer dubs the “perpetual” version – when it launches later this year. In other words, businesses running Office applications as part of an Office 365 subscription need not apply. Or bother. The preview doesn’t actually sniff out an Office 365 subscription, then balk at installation. Instead, there’s no reason for subscribers to probe the preview because they’ve already seen what it offers. Why? Because the perpetually-licensed version is built on the changes that have accumulated in Office 365’s core component, Office 365 ProPlus, since Office 2016’s debut. Microsoft will take the version of Office 2016 now available to Office 365 ProPlus users – that Office 2016 is different from what’s still sold as a one-time purchase of Office 2016 – freeze the code, and call it Office 2019. Not surprisingly, though, even at the launch of Office 2019, Office 365 ProPlus will hold the advantage, Microsoft pledged. “Office 2019 will include some, but not all, features that have been released through Office 365 since September 2015 (when Office 2016 was released),” the firm said in a support document. Only customers who have rights to Microsoft Collaborate, the portal, and service that last year replaced the long-running beta program called Microsoft Connect, are eligible for the Office 2019 preview. To register with Collaborate, users must have access to the Microsoft Dev Center Dashboard and have a Microsoft account or credentials provided via their employer’s Azure Active Directory. Microsoft is starting to let business users experience the changes and new features in Office 2019 via a preview released today. The preview includes clients for Microsoft Word, Excel, PowerPoint, Outlook, Publisher, Access, Project, and Visio. 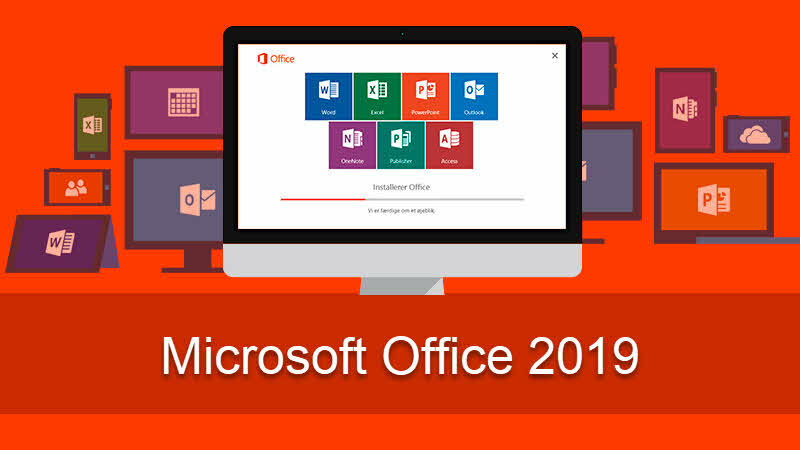 Office 2019 is initially announced at Microsoft’s Ignite conference last year. Unlike the subscription-based Office 365, Office 2019 operates on a perpetual license: Pay once for the software and you don’t need to worry about monthly charges. The company said it is listening to customer feedback to help shape its product roadmap. Mac users can also expect some love soon.